Move to the web for easier emailing! Use BlueMind’s UIs anytime, anywhere! You can enjoy BlueMind’s functionalities in your web browser, even when you’re not connected to the internet. Enjoy all of BlueMind on your smartphone! 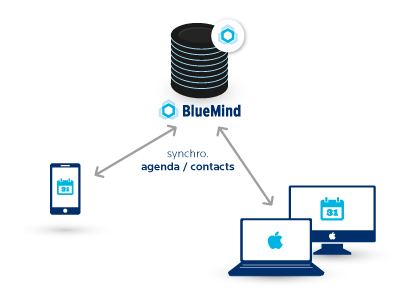 Configure your smartphone in just 3 minutes and get access to all of BlueMind’s features! Thunderbird like you've never seen it before! Connect to BlueMind and keep using Outlook! 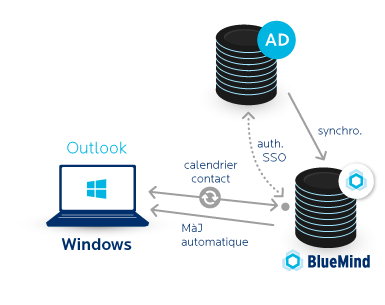 Install the Outlook connector for BlueMind and enjoy all its functionalities in your thick email client. 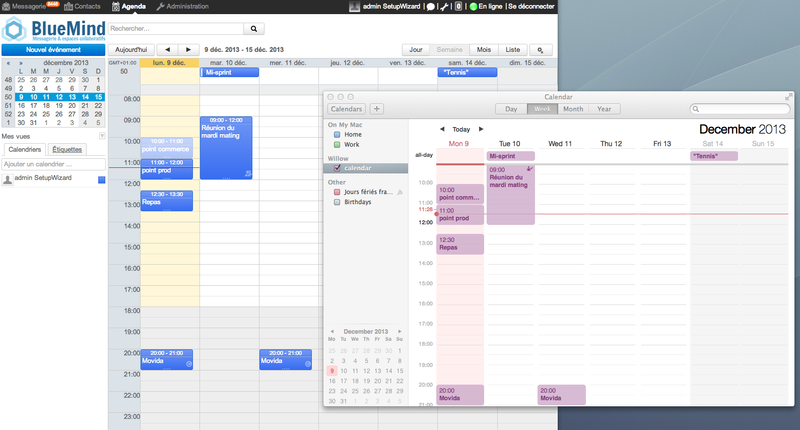 Use your Mac's native applications!